100 x 200 mm warning asbestos do not disturb self adhesive vinyl labels. 100 x 200 mm warning asbestos do not disturb 1.2 mm rigid plastic signs. 100 x 200 mm warning asbestos do not disturb 1.2 mm rigid plastic signs with s/a backing. 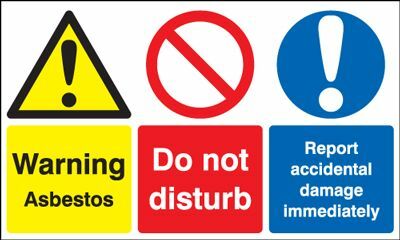 100 x 200 mm warning asbestos do not disturb 1.2 mm rigid plastic signs with self adhesive backing. 300 x 500 mm warning asbestos do not disturb self adhesive vinyl labels. 300 x 500 mm Caution asbestos wear self adhesive vinyl labels. 300 x 600 mm danger asbestos and do not disturb self adhesive vinyl labels. 300 x 600 mm danger asbestos & do not disturb self adhesive vinyl labels. 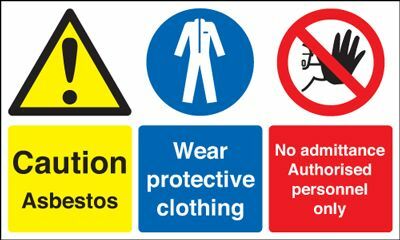 300 x 500 mm Caution asbestos wear protective 1.2 mm rigid plastic signs. 300 x 500 mm warning asbestos do not disturb 1.2 mm rigid plastic signs. 300 x 500 mm warning asbestos do not disturb 1.2 mm rigid plastic signs with s/a backing. 300 x 500 mm warning asbestos do not disturb 1.2 mm rigid plastic signs with self adhesive backing. 300 x 500 mm Caution asbestos wear protective 1.2 mm rigid plastic signs with s/a backing. 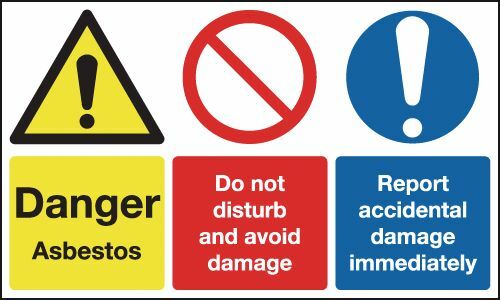 300 x 500 mm caution asbestos wear protective 1.2 mm rigid plastic signs with self adhesive backing. 150 x 300 mm warning boiler room door to be self adhesive vinyl labels. 150 x 300 mm warning boiler room door to be 1.2 mm rigid plastic signs. 300 x 500 mm warning boiler room door to be self adhesive vinyl labels. 300 x 500 mm warning boiler room door to be 1.2 mm rigid plastic signs. 300 x 500 mm warning boiler room door to be 1.2 mm rigid plastic signs with s/a backing. 300 x 500 mm warning boiler room door to be 1.2 mm rigid plastic signs with self adhesive backing. A5 danger confined space entry by permit self adhesive vinyl labels. A4 danger confined space entry by permit self adhesive vinyl labels. A4 danger confined space no unauthorised self adhesive vinyl labels. A3 danger confined space entry by permit self adhesive vinyl labels. A2 danger confined space entry by permit self adhesive vinyl labels. A2 danger confined space no unauthorised self adhesive vinyl labels. A1 danger confined space entry by permit self adhesive vinyl labels. 400 x 300 mm site safety notice self adhesive vinyl labels. 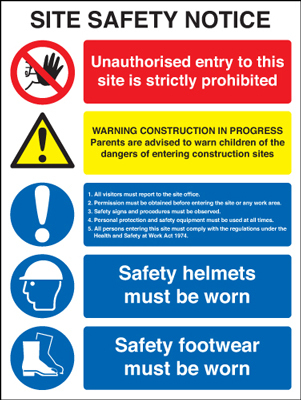 400 x 300 mm site safety notice 1.2 mm rigid plastic signs. 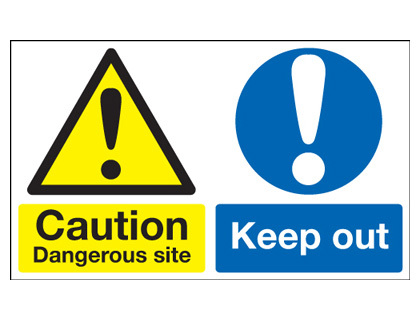 450 x 600 mm Caution dangerous site keep out self adhesive vinyl labels. 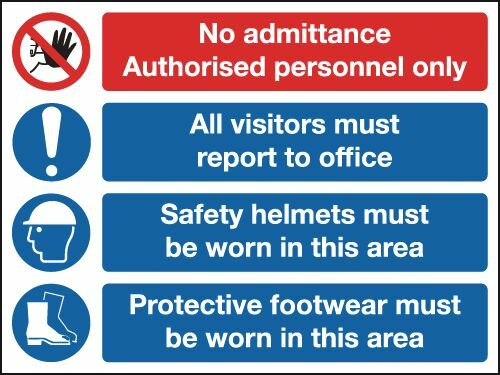 600 x 800 mm site safety all visitors must self adhesive vinyl labels. 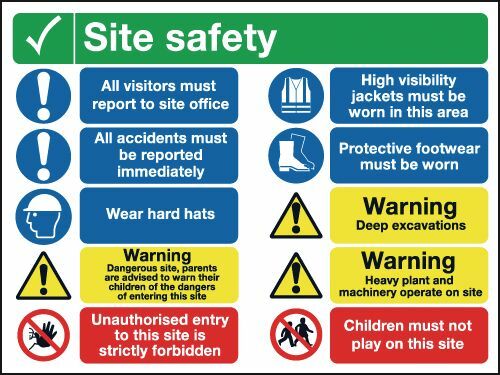 600 x 800 mm site safety all visitors must 1.2 mm rigid plastic signs. 400 x 300 mm danger electric shock risk uwaga self adhesive vinyl labels. 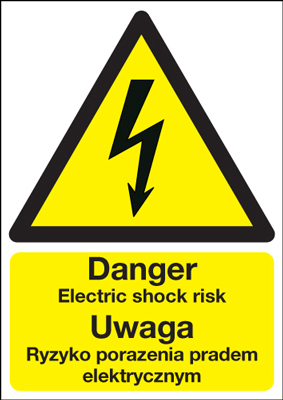 400 x 300 mm danger electric shock risk uwaga 1.2 mm rigid plastic signs. 100 x 250 mm danger electric shock risk uwaga self adhesive vinyl labels. 150 x 450 mm fire exit (polish) running man self adhesive vinyl labels. 150 x 450 mm fire exit (polish) running man 1.2 mm rigid plastic signs. 150 x 450 mm fire exit (polish) (running man 1.2 mm rigid plastic signs with s/a backing. 150 x 450 mm fire exit (polish) (running man 1.2 mm rigid plastic signs with self adhesive backing. 150 x 450 mm fire exit (polish) running man 1.2 mm rigid plastic signs with s/a backing. 150 x 450 mm fire exit (polish) running man 1.2 mm rigid plastic signs with self adhesive backing. A5 fire alarm call point reczny ostrzega self adhesive vinyl labels. A5 fire alarm call point reczny ostrzega 1.2 mm rigid plastic signs. 150 x 450 mm fire exit allanfa dan self adhesive vinyl labels. 400 x 300 mm fire alarm call point reczny ost self adhesive vinyl labels. A4 fire alarm call point reczny ostrzega self adhesive vinyl labels. A3 fire alarm call point reczny ostrzega self adhesive vinyl labels. 150 x 450 mm fire exit allanfa dan 1.2 mm rigid plastic signs. A5 fire alarm call point reczny ostrzega 1.2 mm rigid plastic signs with s/a backing. A5 fire alarm call point reczny ostrzega 1.2 mm rigid plastic signs with self adhesive backing. 300 x 500 mm English and welsh fire action self adhesive vinyl labels. 300 x 500 mm english & welsh fire action self adhesive vinyl labels. A4 fire alarm call point reczny ostrzega 1.2 mm rigid plastic signs. 150 x 450 mm fire exit allanfa dan 1.2 mm rigid plastic signs with s/a backing. 150 x 450 mm fire exit allanfa dan 1.2 mm rigid plastic signs with self adhesive backing. 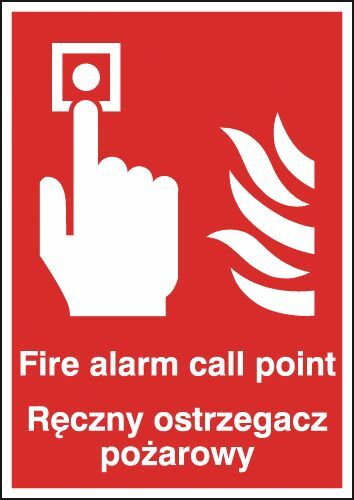 400 x 300 mm fire alarm call point reczny ost 1.2 mm rigid plastic signs. 300 x 500 mm English and welsh fire action 1.2 mm rigid plastic signs. 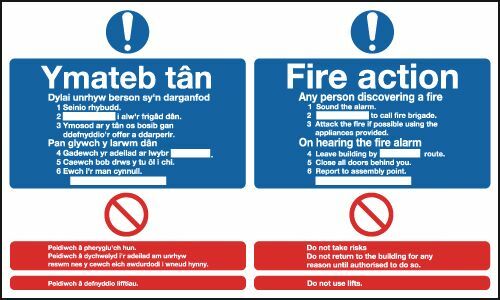 300 x 500 mm english & welsh fire action 1.2 mm rigid plastic signs. A3 fire alarm call point reczny ostrzega 1.2 mm rigid plastic signs. 400 x 300 mm fire alarm call point reczny ost 1.2 mm rigid plastic signs with s/a backing. 400 x 300 mm fire alarm call point reczny ost 1.2 mm rigid plastic signs with self adhesive backing. 300 x 500 mm English and welsh fire action 1.2 mm rigid plastic signs with s/a backing. 300 x 500 mm english & welsh fire action 1.2 mm rigid plastic signs with self adhesive backing. A3 fire alarm call point reczny ostrzega 1.2 mm rigid plastic signs with s/a backing. A3 fire alarm call point reczny ostrzega 1.2 mm rigid plastic signs with self adhesive backing. A4 fire alarm call point reczny ostrzega 1.2 mm rigid plastic signs with s/a backing. A4 fire alarm call point reczny ostrzega 1.2 mm rigid plastic signs with self adhesive backing. 300 x 250 mm evacuation for disabled people self adhesive vinyl labels. 250 x 350 mm evacuation for disabled people self adhesive vinyl labels. 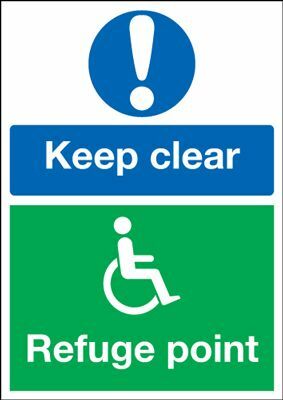 300 x 250 mm evacuation for disabled people 1.2 mm rigid plastic signs. 250 x 350 mm evacuation for disabled people 1.2 mm rigid plastic signs. 300 x 250 mm evacuation for disabled people 1.2 mm rigid plastic signs with s/a backing. 300 x 250 mm evacuation for disabled people 1.2 mm rigid plastic signs with self adhesive backing. 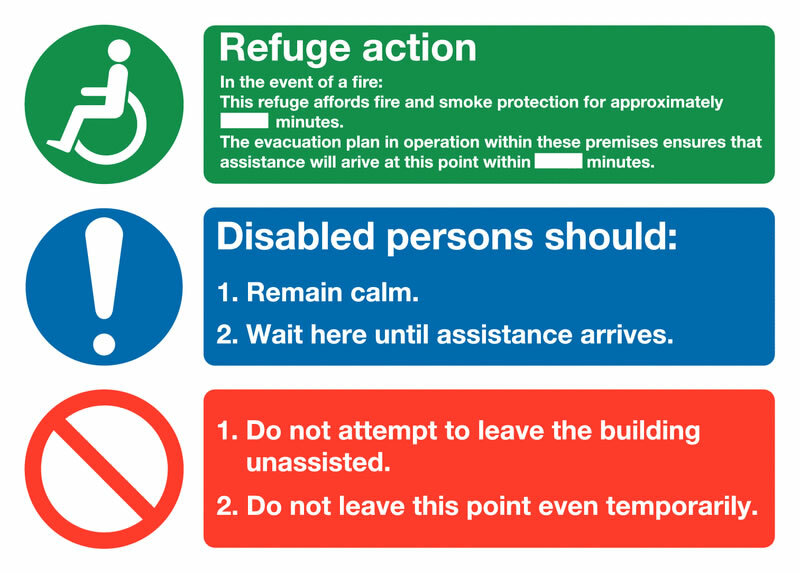 A2 evacuation for disabled people self adhesive vinyl labels. 250 x 350 mm evacuation for disabled people 1.2 mm rigid plastic signs with s/a backing. 250 x 350 mm evacuation for disabled people 1.2 mm rigid plastic signs with self adhesive backing. 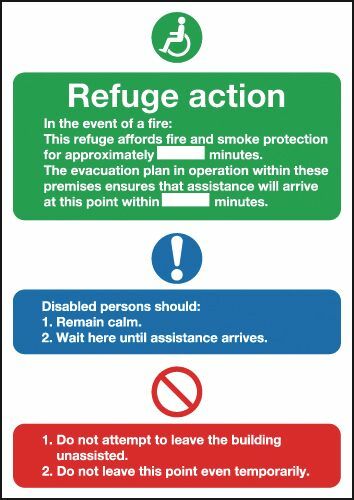 A2 evacuation for disabled people 1.2 mm rigid plastic signs. A5 eye protection must be worn (polish) self adhesive vinyl labels. 250 x 200 mm eye protection must be worn self adhesive vinyl labels. A5 eye protection must be worn (polish) 1.2 mm rigid plastic signs. 400 x 300 mm eye protection must be worn self adhesive vinyl labels. 250 x 200 mm eye protection must be worn 1.2 mm rigid plastic signs. A4 eye protection must be worn (polish) self adhesive vinyl labels. A3 eye protection must be worn (polish) self adhesive vinyl labels. A5 eye protection must be worn (polish) 1.2 mm rigid plastic signs with s/a backing. A5 eye protection must be worn (polish) 1.2 mm rigid plastic signs with self adhesive backing. 250 x 200 mm eye protection must be worn 1.2 mm rigid plastic signs with s/a backing. 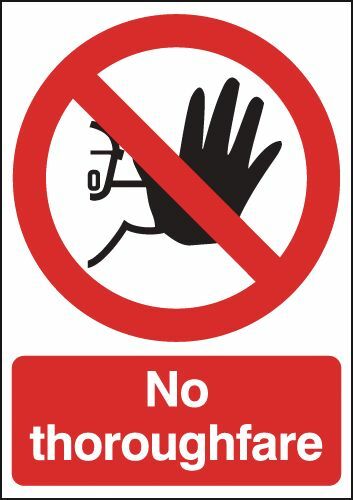 250 x 200 mm eye protection must be worn 1.2 mm rigid plastic signs with self adhesive backing. A4 eye protection must be worn (polish) 1.2 mm rigid plastic signs. 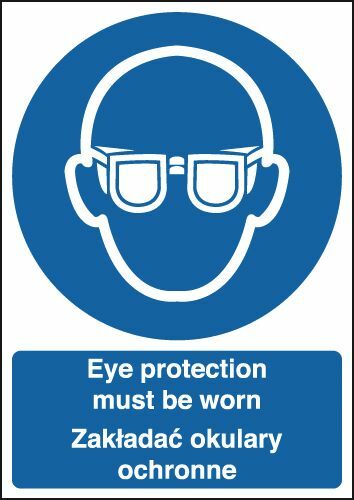 400 x 300 mm eye protection must be worn 1.2 mm rigid plastic signs. A3 eye protection must be worn (polish) 1.2 mm rigid plastic signs. 400 x 300 mm eye protection must be worn 1.2 mm rigid plastic signs with s/a backing. 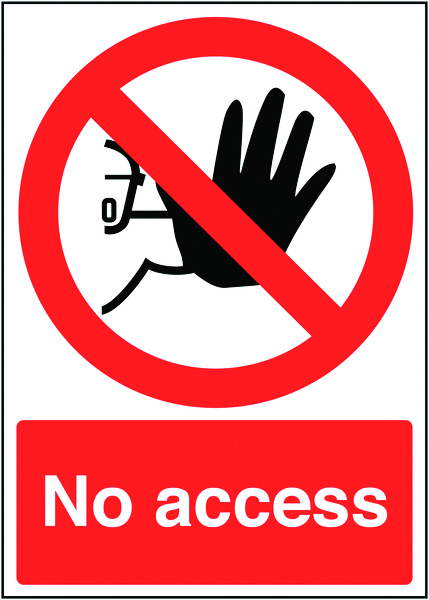 400 x 300 mm eye protection must be worn 1.2 mm rigid plastic signs with self adhesive backing. A3 eye protection must be worn (polish) 1.2 mm rigid plastic signs with s/a backing. A3 eye protection must be worn (polish) 1.2 mm rigid plastic signs with self adhesive backing. A4 eye protection must be worn (polish) 1.2 mm rigid plastic signs with s/a backing. 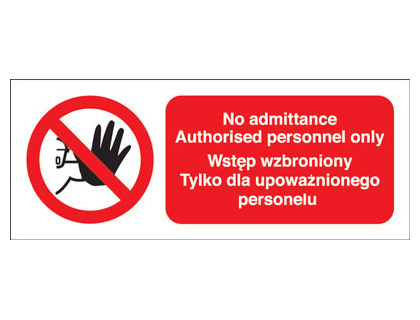 A4 eye protection must be worn (polish) 1.2 mm rigid plastic signs with self adhesive backing. 100 x 250 mm eye protection must be worn self adhesive vinyl labels. 100 x 250 mm eye protection must be worn 1.2 mm rigid plastic signs. 400 x 300 mm fire assembly point punkt self adhesive vinyl labels. 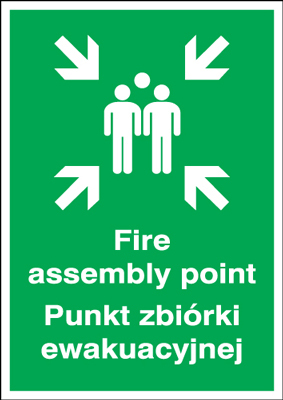 400 x 300 mm fire assembly point punkt 1.2 mm rigid plastic signs. 600 x 450 mm fire assembly point punkt self adhesive vinyl labels. 400 x 300 mm fire assembly point punkt 1.2 mm rigid plastic signs with s/a backing. 400 x 300 mm fire assembly point punkt 1.2 mm rigid plastic signs with self adhesive backing. 600 x 450 mm fire assembly point punkt 1.2 mm rigid plastic signs. 600 x 450 mm fire assembly point punkt 1.2 mm rigid plastic signs with s/a backing. 600 x 450 mm fire assembly point punkt 1.2 mm rigid plastic signs with self adhesive backing. 150 x 450 mm Caution door is alarm keep self adhesive vinyl labels. 150 x 450 mm caution door is alarmed keep self adhesive vinyl labels. 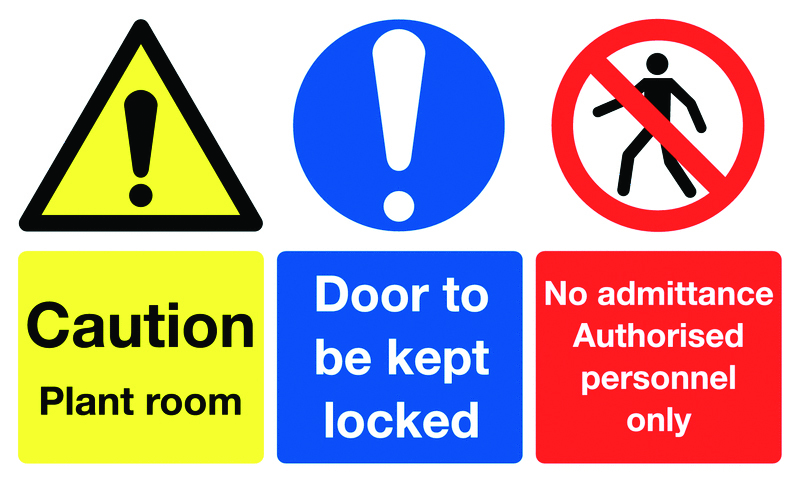 150 x 450 mm Caution door is alarm keep 1.2 mm rigid plastic signs. 150 x 450 mm caution door is alarmed keep 1.2 mm rigid plastic signs. 250 x 200 mm fire escape keep clear dihangfa self adhesive vinyl labels. 400 x 300 mm fire escape keep clear dihangfa self adhesive vinyl labels. 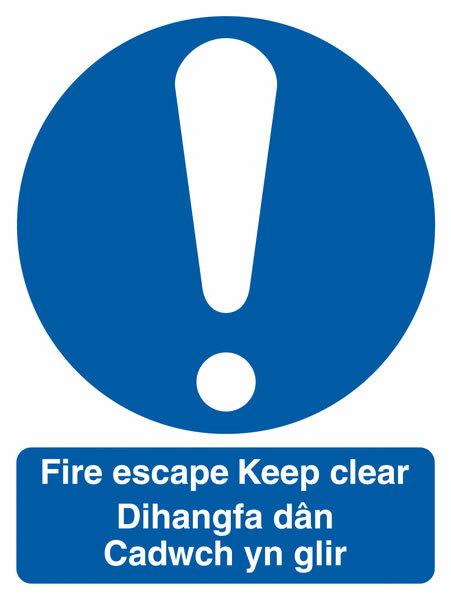 250 x 200 mm fire escape keep clear dihangfa 1.2 mm rigid plastic signs. 250 x 200 mm fire escape keep clear dihangfa 1.2 mm rigid plastic signs with s/a backing. 250 x 200 mm fire escape keep clear dihangfa 1.2 mm rigid plastic signs with self adhesive backing. 400 x 300 mm fire escape keep clear dihangfa 1.2 mm rigid plastic signs. 400 x 300 mm fire escape keep clear dihangfa 1.2 mm rigid plastic signs with s/a backing. 400 x 300 mm fire escape keep clear dihangfa 1.2 mm rigid plastic signs with self adhesive backing. 250 x 200 mm cymorth cyntaf first aid self adhesive vinyl labels. 400 x 300 mm cymorth cyntaf first aid self adhesive vinyl labels. 250 x 200 mm cymorth cyntaf first aid 1.2 mm rigid plastic signs. 250 x 200 mm cymorth cyntaf first aid 1.2 mm rigid plastic signs with s/a backing. 250 x 200 mm cymorth cyntaf first aid 1.2 mm rigid plastic signs with self adhesive backing. 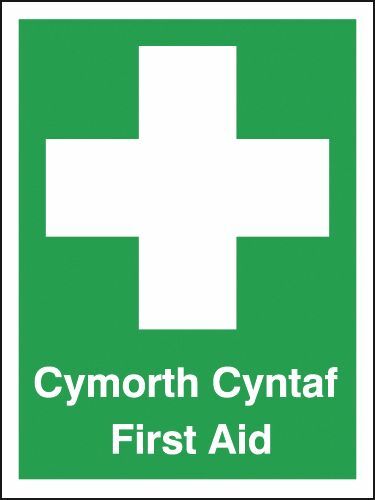 400 x 300 mm cymorth cyntaf first aid 1.2 mm rigid plastic signs. 400 x 300 mm cymorth cyntaf first aid 1.2 mm rigid plastic signs with s/a backing. 400 x 300 mm cymorth cyntaf first aid 1.2 mm rigid plastic signs with self adhesive backing. A3 danger highly flammable no smoking or self adhesive vinyl labels. 400 x 600 mm highly flammable no smoking self adhesive vinyl labels. 400 x 600 mm highly flammable no smoking 1.2 mm rigid plastic signs. 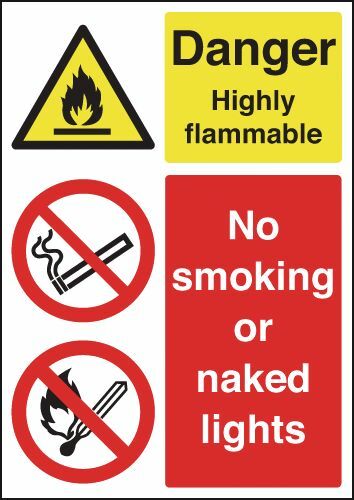 400 x 600 mm highly flammable no smoking 1.2 mm rigid plastic signs with s/a backing. 400 x 600 mm highly flammable no smoking 1.2 mm rigid plastic signs with self adhesive backing. 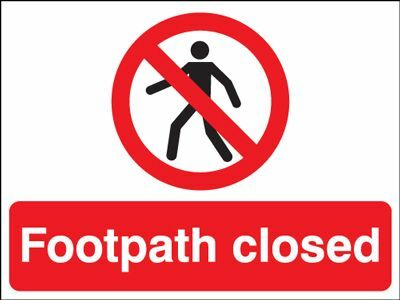 450 x 600 mm footpath closed label. 450 x 600 mm footpath closed sign. 400 x 300 mm Caution fragile roof (polish) self adhesive vinyl labels. 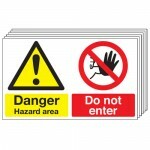 400 x 300 mm Caution fragile roof (polish) 1.2 mm rigid plastic signs. 600 x 450 mm Caution fragile roof (polish) self adhesive vinyl labels. 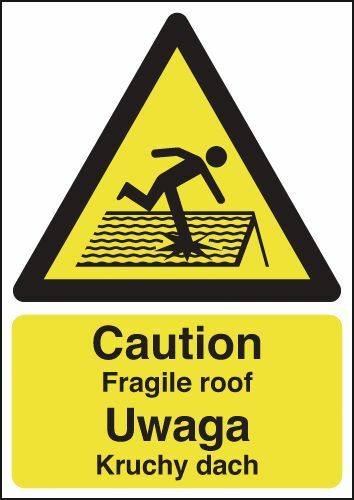 400 x 300 mm Caution fragile roof (polish) 1.2 mm rigid plastic signs with s/a backing. 400 x 300 mm caution fragile roof (polish) 1.2 mm rigid plastic signs with self adhesive backing. 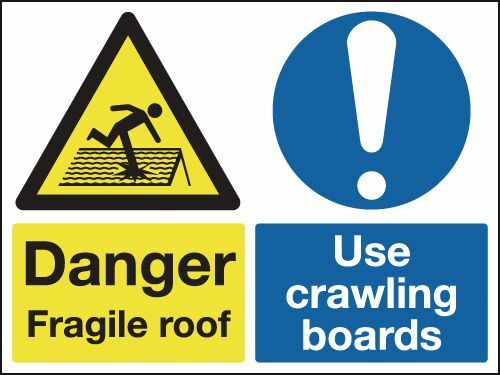 600 x 450 mm Caution fragile roof (polish) 1.2 mm rigid plastic signs. 600 x 450 mm Caution fragile roof (polish) 1.2 mm rigid plastic signs with s/a backing. 600 x 450 mm caution fragile roof (polish) 1.2 mm rigid plastic signs with self adhesive backing. 450 x 600 mm danger fragile roof use crawling self adhesive vinyl labels. A5 warning this is a multi hazard area self adhesive vinyl labels. 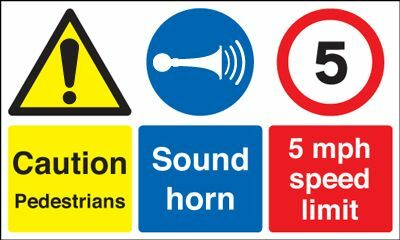 A5 warning this is a multi hazard area 1.2 mm rigid plastic signs. 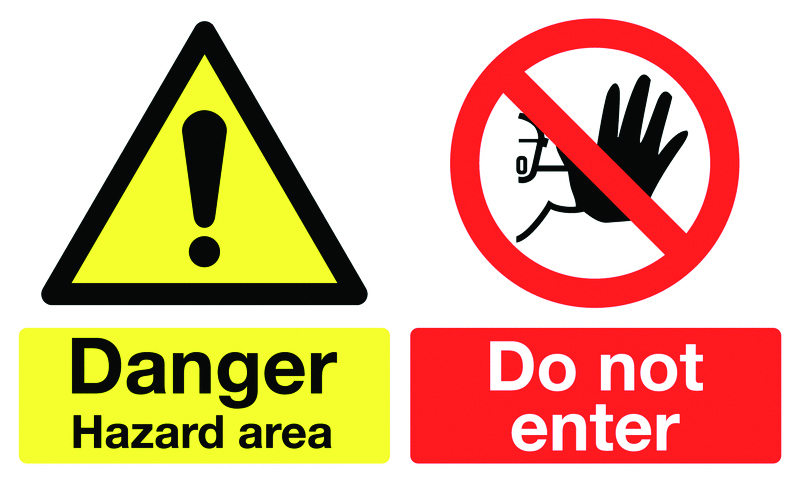 400 x 300 mm danger hazard area do not enter self adhesive vinyl labels. A4 warning this is a multi hazard area self adhesive vinyl labels. A3 warning this is a multi hazard area self adhesive vinyl labels. 300 x 500 mm danger hazard area do not enter self adhesive vinyl labels. A4 warning this is a multi hazard area 1.2 mm rigid plastic signs. A3 warning this is a multi hazard area 1.2 mm rigid plastic signs. A2 warning this is a multi hazard area self adhesive vinyl labels. A2 warning this is a multi hazard area 1.2 mm rigid plastic signs. 300 x 500 mm danger hazard area do not enter self adhesive vinyl labels in a 6 pack. A5 emergency exit keep clear self adhesive vinyl labels. A5 keep clear refuge point self adhesive vinyl labels. 150 x 300 mm emergency exit keep clear self adhesive vinyl labels. A5 keep clear refuge point 1.2 mm rigid plastic signs. A5 emergency exit keep clear 1.2 mm rigid plastic signs. 150 x 450 mm emergency exit keep clear self adhesive vinyl labels. 150 x 300 mm emergency exit keep clear 1.2 mm rigid plastic signs. 250 x 350 mm keep clear refuge point self adhesive vinyl labels. A4 keep clear refuge point self adhesive vinyl labels. A4 emergency exit keep clear self adhesive vinyl labels. A3 emergency exit keep clear self adhesive vinyl labels. A3 keep clear refuge point self adhesive vinyl labels. 150 x 450 mm emergency exit keep clear 1.2 mm rigid plastic signs. A5 emergency exit keep clear 1.2 mm rigid plastic signs with s/a backing. A5 emergency exit keep clear 1.2 mm rigid plastic signs with self adhesive backing. 150 x 300 mm emergency exit keep clear 1.2 mm rigid plastic signs with s/a backing. 150 x 300 mm emergency exit keep clear 1.2 mm rigid plastic signs with self adhesive backing. 300 x 500 mm keep clear refuge point self adhesive vinyl labels. 250 x 350 mm keep clear refuge point 1.2 mm rigid plastic signs. A4 keep clear refuge point 1.2 mm rigid plastic signs. A4 emergency exit keep clear 1.2 mm rigid plastic signs. 150 x 450 mm emergency exit keep clear 1.2 mm rigid plastic signs with s/a backing. 150 x 450 mm emergency exit keep clear 1.2 mm rigid plastic signs with self adhesive backing. 300 x 500 mm keep clear refuge point 1.2 mm rigid plastic signs. A3 keep clear refuge point 1.2 mm rigid plastic signs. A3 emergency exit keep clear 1.2 mm rigid plastic signs. 450 x 600 mm keep clear no parking self adhesive vinyl labels. 300 x 900 mm emergency exit keep clear self adhesive vinyl labels. A2 emergency exit keep clear self adhesive vinyl labels. 250 x 350 mm keep clear refuge point 1.2 mm rigid plastic signs with s/a backing. 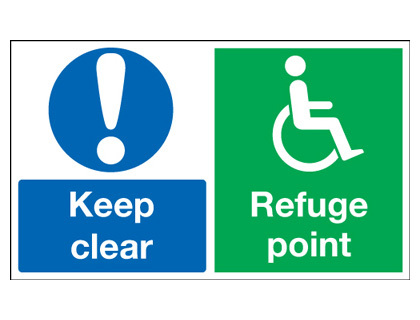 250 x 350 mm keep clear refuge point 1.2 mm rigid plastic signs with self adhesive backing. A2 emergency exit keep clear 1.2 mm rigid plastic signs. 300 x 900 mm emergency exit keep clear 1.2 mm rigid plastic signs. 450 x 600 mm keep clear no parking 1.2 mm rigid plastic signs. A1 emergency exit keep clear self adhesive vinyl labels. A3 emergency exit keep clear 1.2 mm rigid plastic signs with s/a backing. A3 emergency exit keep clear 1.2 mm rigid plastic signs with self adhesive backing. A2 emergency exit keep clear 1.2 mm rigid plastic signs with s/a backing. A2 emergency exit keep clear 1.2 mm rigid plastic signs with self adhesive backing. 450 x 600 mm keep clear no parking 1.2 mm rigid plastic signs with s/a backing. 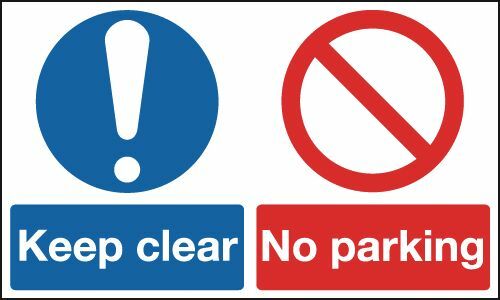 450 x 600 mm keep clear no parking 1.2 mm rigid plastic signs with self adhesive backing. A1 emergency exit keep clear 1.2 mm rigid plastic signs. A1 emergency exit keep clear 1.2 mm rigid plastic signs with s/a backing. A1 emergency exit keep clear 1.2 mm rigid plastic signs with self adhesive backing. A4 emergency exit keep clear 1.2 mm rigid plastic signs with s/a backing. 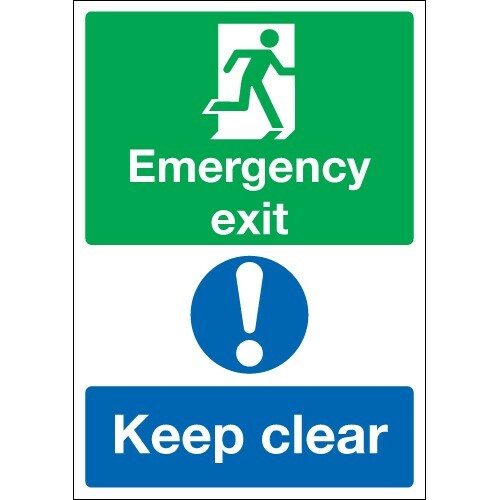 A4 emergency exit keep clear 1.2 mm rigid plastic signs with self adhesive backing. 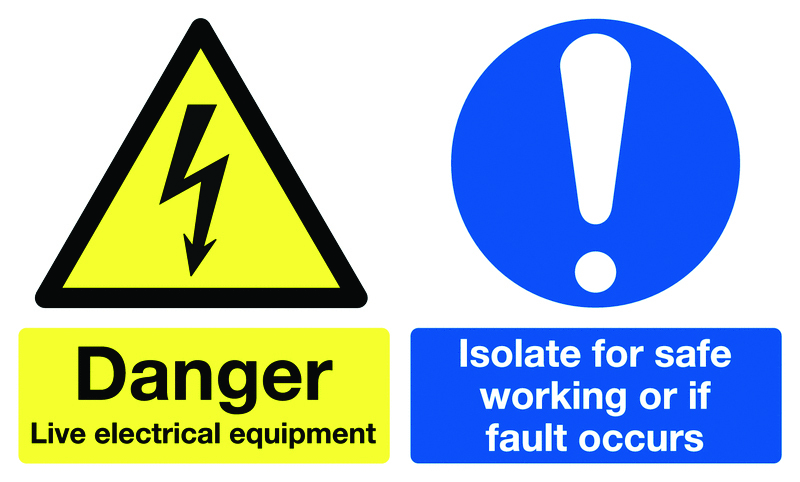 150 x 300 mm danger live electrical equipment self adhesive vinyl labels. 300 x 500 mm danger live electrical equipment self adhesive vinyl labels. 300 x 500 mm warning this is a multi hazard self adhesive vinyl labels. 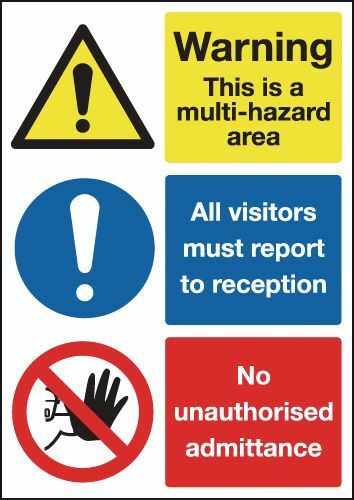 300 x 500 mm warning this is a multi hazard 1.2 mm rigid plastic signs. 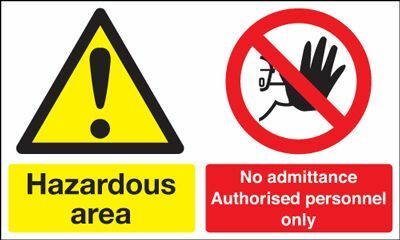 300 x 500 mm warning this is a multi hazard 1.2 mm rigid plastic signs with s/a backing. 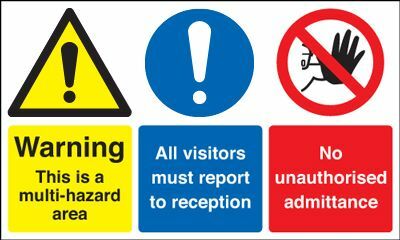 300 x 500 mm warning this is a multi hazard 1.2 mm rigid plastic signs with self adhesive backing. 100 x 200 mm no access label. 100 x 200 mm no access sign. 150 x 300 mm no access label. 300 x 250 mm no access label. 150 x 300 mm no access sign. 400 x 300 mm no access label. 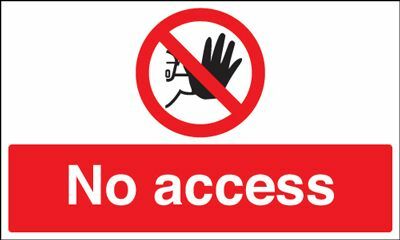 300 x 250 mm no access sign. 300 x 500 mm no access label. 400 x 300 mm no access sign. 300 x 500 mm no access sign. 450 x 600 mm no access label. 450 x 600 mm no access sign. A5 No admittance authorised personnel self adhesive vinyl labels. A5 No admittance authorised personnel 1.2 mm rigid plastic signs. 400 x 300 mm no admittance authorised self adhesive vinyl labels. A4 No admittance authorised personnel self adhesive vinyl labels. A3 No admittance authorised personnel self adhesive vinyl labels. A5 No admittance authorised personnel 1.2 mm rigid plastic signs with s/a backing. 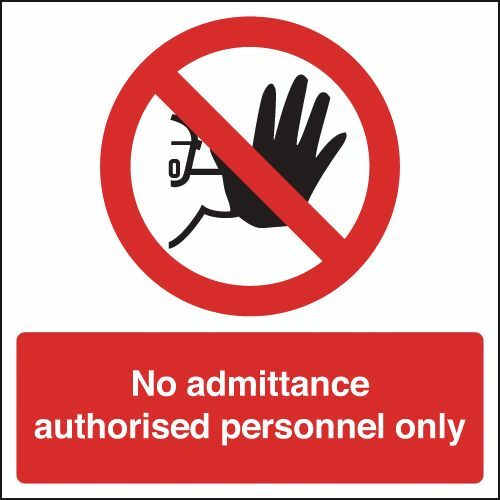 A5 no admittance authorised personnel 1.2 mm rigid plastic signs with self adhesive backing. A4 No admittance authorised personnel 1.2 mm rigid plastic signs. 400 x 300 mm no admittance authorised 1.2 mm rigid plastic signs. A3 No admittance authorised personnel 1.2 mm rigid plastic signs. 400 x 300 mm no admittance authorised 1.2 mm rigid plastic signs with s/a backing. 400 x 300 mm no admittance authorised 1.2 mm rigid plastic signs with self adhesive backing. A3 No admittance authorised personnel 1.2 mm rigid plastic signs with s/a backing. 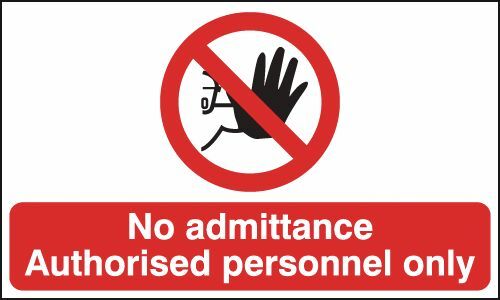 A3 no admittance authorised personnel 1.2 mm rigid plastic signs with self adhesive backing. A4 No admittance authorised personnel 1.2 mm rigid plastic signs with s/a backing. 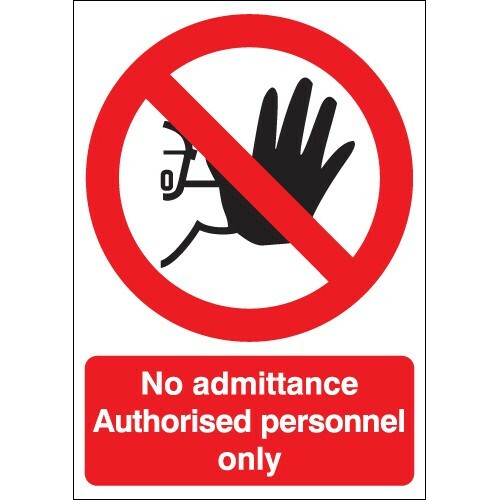 A4 no admittance authorised personnel 1.2 mm rigid plastic signs with self adhesive backing. 50 x 100 mm no admittance authorised self adhesive vinyl labels. 50 x 100 mm no admittance authorised 1.2 mm rigid plastic signs. 100 x 250 mm no admittance authorised self adhesive vinyl labels. 150 x 150 mm no admittance authorised 1.2 mm rigid plastic signs. 100 x 200 mm no admittance authorised 1.2 mm rigid plastic signs. 50 x 100 mm no admittance authorised 1.2 mm rigid plastic signs with s/a backing. 50 x 100 mm no admittance authorised 1.2 mm rigid plastic signs with self adhesive backing. 100 x 250 mm no admittance authorised 1.2 mm rigid plastic signs. 250 x 300 mm no admittance authorised self adhesive vinyl labels. 150 x 150 mm no admittance authorised 1.2 mm rigid plastic signs with s/a backing. 150 x 150 mm no admittance authorised 1.2 mm rigid plastic signs with self adhesive backing. 300 x 300 mm no admittance authorised self adhesive vinyl labels. 60 x 400 mm no admittance authorised 1.2 mm rigid plastic signs. 350 x 250 mm no admittance authorised self adhesive vinyl labels. 250 x 350 mm no admittance authorised self adhesive vinyl labels. 100 x 200 mm no admittance authorised 1.2 mm rigid plastic signs with s/a backing. 100 x 200 mm no admittance authorised 1.2 mm rigid plastic signs with self adhesive backing. 75 x 600 mm no admittance authorised 1.2 mm rigid plastic signs. 60 x 400 mm no admittance authorised 1.2 mm rigid plastic signs with s/a backing. 60 x 400 mm no admittance authorised 1.2 mm rigid plastic signs with self adhesive backing. 250 x 300 mm no admittance authorised 1.2 mm rigid plastic signs. 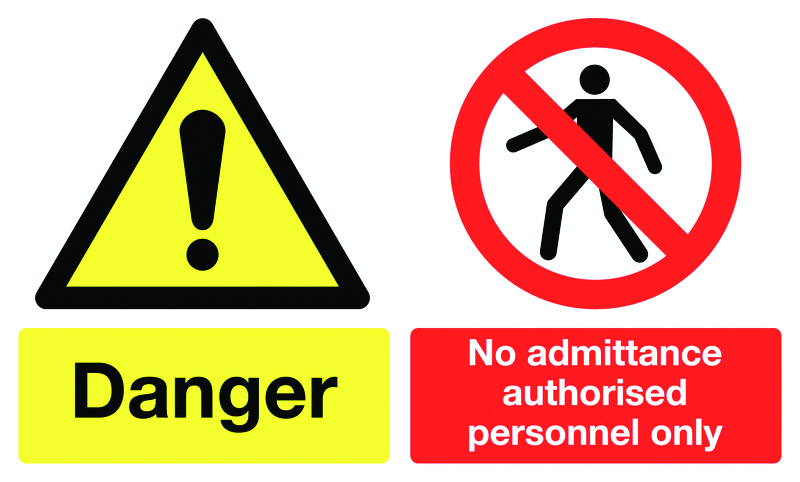 300 x 500 mm danger no admittance authorised self adhesive vinyl labels. 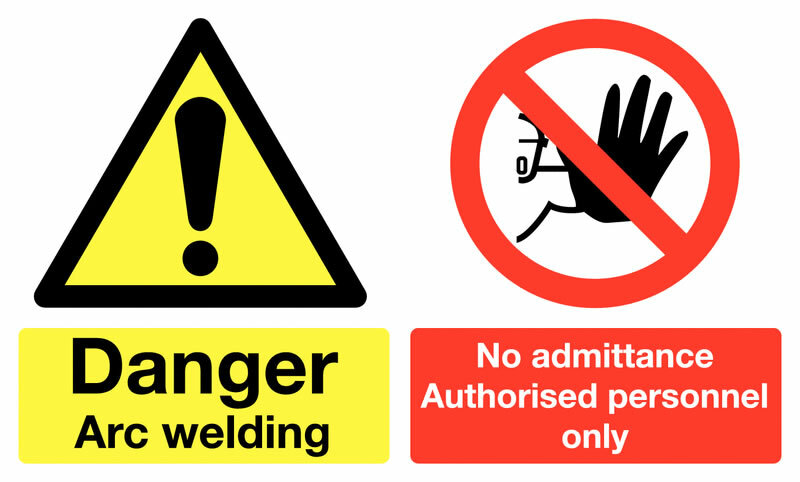 300 x 500 mm danger arc welding no admittance self adhesive vinyl labels. 300 x 500 mm hazardous area no admittance self adhesive vinyl labels. 250 x 350 mm no admittance authorised 1.2 mm rigid plastic signs. 350 x 250 mm no admittance authorised 1.2 mm rigid plastic signs. 300 x 600 mm no admittance authorised self adhesive vinyl labels. 400 x 600 mm no admittance authorised self adhesive vinyl labels. 75 x 600 mm no admittance authorised 1.2 mm rigid plastic signs with s/a backing. 75 x 600 mm no admittance authorised 1.2 mm rigid plastic signs with self adhesive backing. 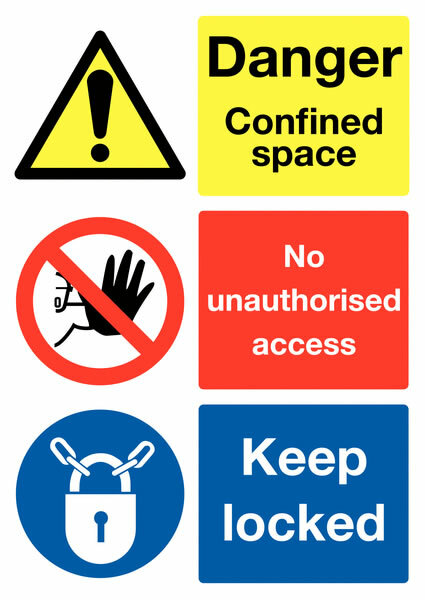 300 x 500 mm hazardous area no admittance 1.2 mm rigid plastic signs. 250 x 300 mm no admittance authorised 1.2 mm rigid plastic signs with s/a backing. 250 x 300 mm no admittance authorised 1.2 mm rigid plastic signs with self adhesive backing. 450 x 600 mm no admittance authorised self adhesive vinyl labels. 600 x 450 mm no admittance authorised self adhesive vinyl labels. 300 x 600 mm no admittance authorised 1.2 mm rigid plastic signs. 350 x 250 mm no admittance authorised 1.2 mm rigid plastic signs with s/a backing. 350 x 250 mm no admittance authorised 1.2 mm rigid plastic signs with self adhesive backing. 250 x 350 mm no admittance authorised 1.2 mm rigid plastic signs with s/a backing. 250 x 350 mm no admittance authorised 1.2 mm rigid plastic signs with self adhesive backing. 800 x 600 mm no admittance authorised self adhesive vinyl labels. 600 x 800 mm no admittance authorised self adhesive vinyl labels. 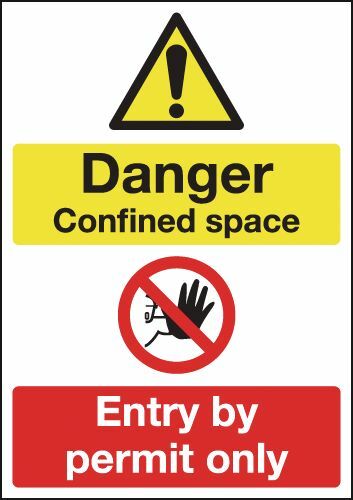 300 x 500 mm hazardous area no admittance 1.2 mm rigid plastic signs with s/a backing. 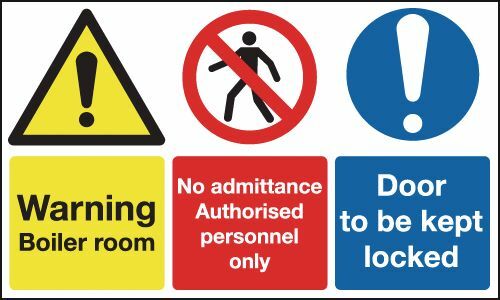 300 x 500 mm hazardous area no admittance 1.2 mm rigid plastic signs with self adhesive backing. 300 x 600 mm no admittance authorised 1.2 mm rigid plastic signs with s/a backing. 300 x 600 mm no admittance authorised 1.2 mm rigid plastic signs with self adhesive backing. 450 x 600 mm no admittance authorised 1.2 mm rigid plastic signs with s/a backing. 450 x 600 mm no admittance authorised 1.2 mm rigid plastic signs with self adhesive backing. 600 x 450 mm no admittance authorised 1.2 mm rigid plastic signs with s/a backing. 600 x 450 mm no admittance authorised 1.2 mm rigid plastic signs with self adhesive backing. 600 x 800 mm no admittance authorised 1.2 mm rigid plastic signs. 600 x 800 mm no admittance authorised 1.2 mm rigid plastic signs with s/a backing. 600 x 800 mm no admittance authorised 1.2 mm rigid plastic signs with self adhesive backing. 800 x 600 mm no admittance authorised 1.2 mm rigid plastic signs with s/a backing. 800 x 600 mm no admittance authorised 1.2 mm rigid plastic signs with self adhesive backing. 300 x 250 mm no children label. 400 x 300 mm no children label. 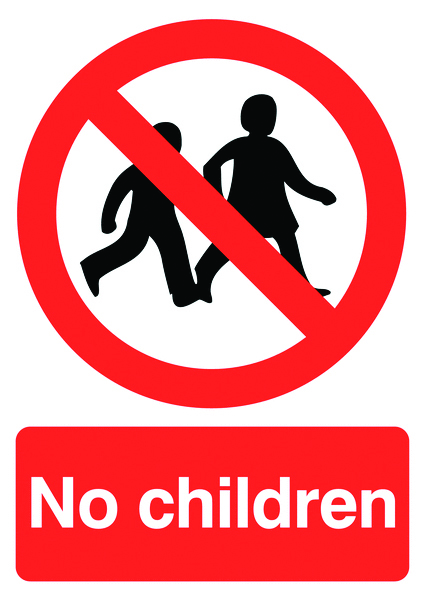 300 x 250 mm no children sign. 400 x 300 mm no children sign. 800 x 600 mm no children label. 800 x 600 mm no children sign. A5 No entry zakaz wjazdu (polish) self adhesive vinyl labels. 100 x 250 mm no entry zakaz wjazdu (polish) self adhesive vinyl labels. A5 No entry zakaz wjazdu (polish) 1.2 mm rigid plastic signs. 100 x 250 mm no entry zakaz wjazdu (polish) 1.2 mm rigid plastic signs. 400 x 300 mm no entry zakaz wjazdu (polish) self adhesive vinyl labels. A4 No entry zakaz wjazdu (polish) self adhesive vinyl labels. A3 No entry zakaz wjazdu (polish) self adhesive vinyl labels. A5 No entry zakaz wjazdu (polish) 1.2 mm rigid plastic signs with s/a backing. A5 no entry zakaz wjazdu (polish) 1.2 mm rigid plastic signs with self adhesive backing. A4 No entry zakaz wjazdu (polish) 1.2 mm rigid plastic signs. 400 x 300 mm no entry zakaz wjazdu (polish) 1.2 mm rigid plastic signs. A3 No entry zakaz wjazdu (polish) 1.2 mm rigid plastic signs. 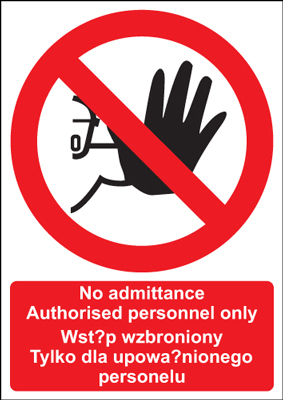 400 x 300 mm no entry zakaz wjazdu (polish) 1.2 mm rigid plastic signs with s/a backing. 400 x 300 mm no entry zakaz wjazdu (polish) 1.2 mm rigid plastic signs with self adhesive backing. A3 No entry zakaz wjazdu (polish) 1.2 mm rigid plastic signs with s/a backing. A3 no entry zakaz wjazdu (polish) 1.2 mm rigid plastic signs with self adhesive backing. A4 No entry zakaz wjazdu (polish) 1.2 mm rigid plastic signs with s/a backing. 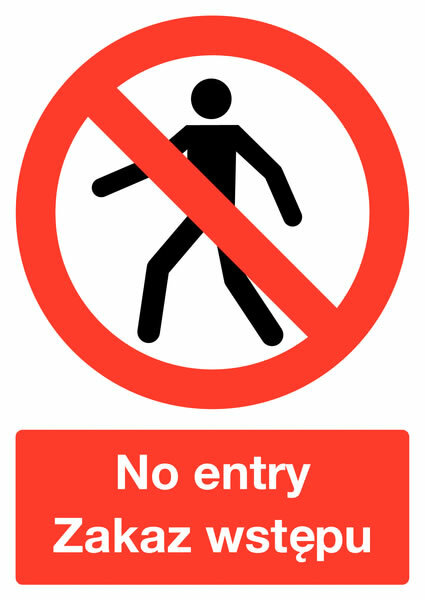 A4 no entry zakaz wjazdu (polish) 1.2 mm rigid plastic signs with self adhesive backing. 50 x 100 mm no entry self adhesive vinyl labels. 125 x 125 mm no entry self adhesive vinyl labels. 100 x 200 mm no entry self adhesive vinyl labels. 50 x 100 mm no entry 1.2 mm rigid plastic signs. A5 No entry self adhesive vinyl labels. A5 No entry with circular and diagonal symbol label. A5 no entry with circular & diagonal symbol label. 125 x 125 mm no entry 1.2 mm rigid plastic signs. 175 x 125 mm no entry (circular and diagonal) label. 175 x 125 mm no entry (circular & diagonal) label. 100 x 250 mm no entry self adhesive vinyl labels. 100 x 200 mm no entry 1.2 mm rigid plastic signs. 250 x 200 mm no entry self adhesive vinyl labels. 250 x 200 mm no entry (circular and diagonal) label. 250 x 200 mm no entry (circular & diagonal) label. 150 x 300 mm no entry self adhesive vinyl labels. 175 x 125 mm no entry (circular & diagonal) sign. A5 no entry with circular & diagonal symbol sign. A5 No entry 1.2 mm rigid plastic signs. 125 x 125 mm no entry 1.2 mm rigid plastic signs with s/a backing. 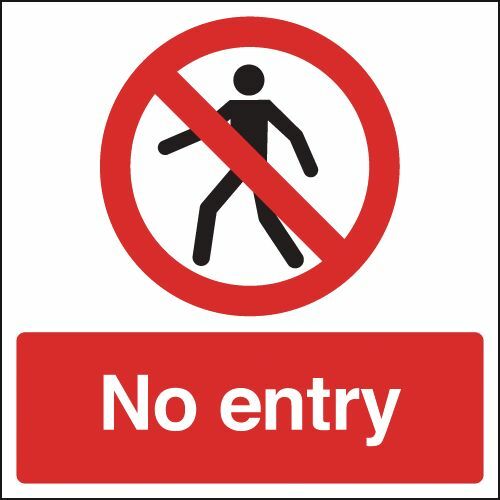 125 x 125 mm no entry 1.2 mm rigid plastic signs with self adhesive backing. 50 x 100 mm no entry 1.2 mm rigid plastic signs with s/a backing. 50 x 100 mm no entry 1.2 mm rigid plastic signs with self adhesive backing. 100 x 250 mm no entry 1.2 mm rigid plastic signs. 250 x 300 mm no entry self adhesive vinyl labels. 300 x 250 mm no entry self adhesive vinyl labels. 300 x 250 mm no entry (circular and diagonal) label. 300 x 250 mm no entry (circular & diagonal) label. 150 x 300 mm no entry 1.2 mm rigid plastic signs. 300 x 300 mm no entry self adhesive vinyl labels. 350 x 250 mm no entry (circular and diagonal) label. 350 x 250 mm no entry (circular & diagonal) label. 400 x 300 mm no entry (circular and diagonal) label. 400 x 300 mm no entry (circular & diagonal) label. 400 x 300 mm no entry self adhesive vinyl labels. 100 x 200 mm no entry 1.2 mm rigid plastic signs with s/a backing. 100 x 200 mm no entry 1.2 mm rigid plastic signs with self adhesive backing. 250 x 200 mm no entry 1.2 mm rigid plastic signs. 250 x 200 mm no entry (circular & diagonal) sign. A4 No entry with circular and diagonal symbol label. A4 no entry with circular & diagonal symbol label. A4 No entry self adhesive vinyl labels. A3 No entry self adhesive vinyl labels. A3 No entry with circular and diagonal symbol label. A3 no entry with circular & diagonal symbol label. A5 No entry 1.2 mm rigid plastic signs with s/a backing. A5 no entry 1.2 mm rigid plastic signs with self adhesive backing. 300 x 250 mm no entry 1.2 mm rigid plastic signs. 250 x 300 mm no entry 1.2 mm rigid plastic signs. 300 x 250 mm no entry (circular & diagonal) sign. 150 x 300 mm no entry 1.2 mm rigid plastic signs with s/a backing. 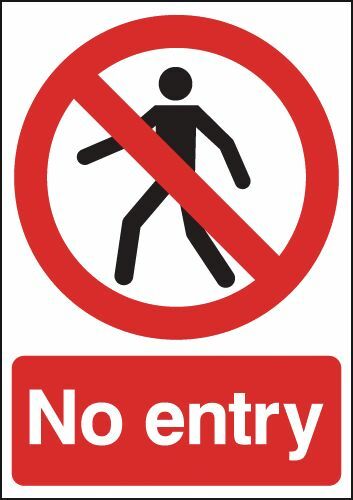 150 x 300 mm no entry 1.2 mm rigid plastic signs with self adhesive backing. 300 x 500 mm no entry self adhesive vinyl labels. 250 x 200 mm no entry 1.2 mm rigid plastic signs with s/a backing. 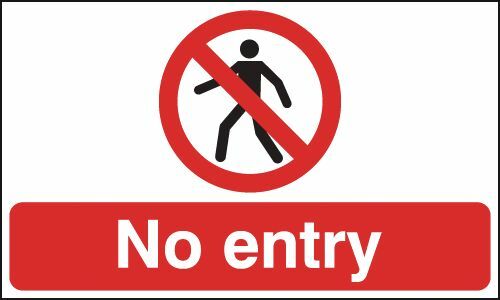 250 x 200 mm no entry 1.2 mm rigid plastic signs with self adhesive backing. 300 x 300 mm no entry 1.2 mm rigid plastic signs. 350 x 250 mm no entry (circular & diagonal) sign. A4 no entry with circular & diagonal symbol sign. A4 No entry 1.2 mm rigid plastic signs. 400 x 300 mm no entry on 1.2 mm rigid plastic signs. 400 x 300 mm no entry-ob 1.2 mm rigid plastic signs. 400 x 300 mm no entry (circular & diagonal) sign. 300 x 500 mm no entry 1.2 mm rigid plastic signs. 250 x 300 mm no entry 1.2 mm rigid plastic signs with s/a backing. 250 x 300 mm no entry 1.2 mm rigid plastic signs with self adhesive backing. 300 x 250 mm no entry 1.2 mm rigid plastic signs with s/a backing. 300 x 250 mm no entry 1.2 mm rigid plastic signs with self adhesive backing. A3 no entry with circular & diagonal symbol sign. A3 No entry 1.2 mm rigid plastic signs. 450 x 600 mm no entry self adhesive vinyl labels. 600 x 450 mm no entry self adhesive vinyl labels. 300 x 300 mm no entry 1.2 mm rigid plastic signs with s/a backing. 300 x 300 mm no entry 1.2 mm rigid plastic signs with self adhesive backing. A2 No entry self adhesive vinyl labels. A2 No entry with circular and diagonal symbol label. A2 no entry with circular & diagonal symbol label. 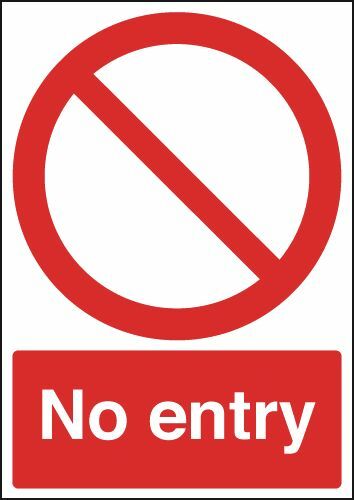 400 x 300 mm no entry sign. 400 x 300 mm no entry 1.2 mm rigid plastic signs with s/a backing. 400 x 300 mm no entry 1.2 mm rigid plastic signs with self adhesive backing. 300 x 500 mm no entry 1.2 mm rigid plastic signs with s/a backing. 300 x 500 mm no entry 1.2 mm rigid plastic signs with self adhesive backing. A2 No entry 1.2 mm rigid plastic signs. A2 no entry with circular & diagonal symbol sign. 450 x 600 mm no entry 1.2 mm rigid plastic signs. 600 x 450 mm no entry 1.2 mm rigid plastic signs. A1 No entry self adhesive vinyl labels. A1 No entry with circular and diagonal symbol label. A1 no entry with circular & diagonal symbol label. A3 No entry 1.2 mm rigid plastic signs with s/a backing. A3 no entry 1.2 mm rigid plastic signs with self adhesive backing. A2 No entry 1.2 mm rigid plastic signs with s/a backing. A2 no entry 1.2 mm rigid plastic signs with self adhesive backing. 600 x 450 mm no entry 1.2 mm rigid plastic signs with s/a backing. 600 x 450 mm no entry 1.2 mm rigid plastic signs with self adhesive backing. 450 x 600 mm no entry 1.2 mm rigid plastic signs with s/a backing. 450 x 600 mm no entry 1.2 mm rigid plastic signs with self adhesive backing. A1 No entry 1.2 mm rigid plastic signs. A1 no entry with circular & diagonal symbol sign. A1 No entry 1.2 mm rigid plastic signs with s/a backing. A1 no entry 1.2 mm rigid plastic signs with self adhesive backing. A4 No entry 1.2 mm rigid plastic signs with s/a backing. A4 no entry 1.2 mm rigid plastic signs with self adhesive backing. 150 x 125 mm warning flammable no smoking no self adhesive vinyl labels. 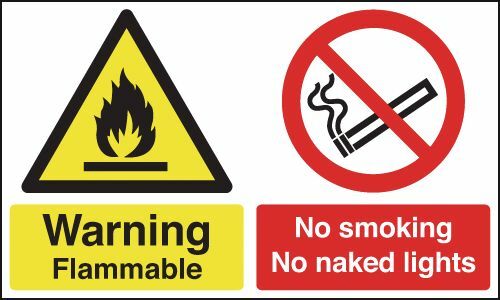 150 x 125 mm warning flammable no smoking no 1.2 mm rigid plastic signs. 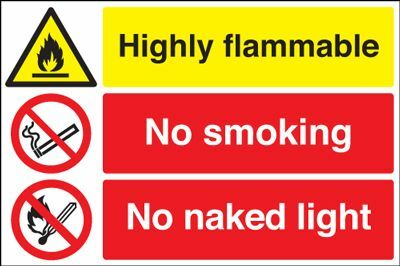 150 x 125 mm warning flammable no smoking no 1.2 mm rigid plastic signs with s/a backing. 150 x 125 mm warning flammable no smoking no 1.2 mm rigid plastic signs with self adhesive backing. 300 x 500 mm warning flammable no smoking no self adhesive vinyl labels. 400 x 600 mm warning flammable no smoking no self adhesive vinyl labels. 300 x 500 mm warning flammable no smoking no 1.2 mm rigid plastic signs. 450 x 600 mm warning flammable no smoking no self adhesive vinyl labels. 300 x 500 mm warning flammable no smoking no 1.2 mm rigid plastic signs with s/a backing. 300 x 500 mm warning flammable no smoking no 1.2 mm rigid plastic signs with self adhesive backing. 400 x 600 mm warning flammable no smoking no 1.2 mm rigid plastic signs. 450 x 600 mm warning flammable no smoking no 1.2 mm rigid plastic signs. 400 x 600 mm warning flammable no smoking no 1.2 mm rigid plastic signs with s/a backing. 400 x 600 mm warning flammable no smoking no 1.2 mm rigid plastic signs with self adhesive backing. 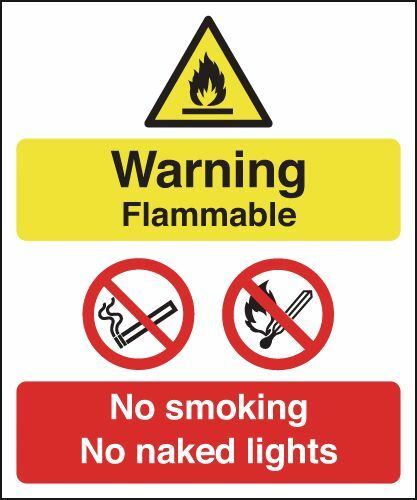 450 x 600 mm warning flammable no smoking no 1.2 mm rigid plastic signs with s/a backing. 450 x 600 mm warning flammable no smoking no 1.2 mm rigid plastic signs with self adhesive backing. 100 x 250 mm no thoroughfare label. 250 x 200 mm no thoroughfare label. 100 x 250 mm no thoroughfare sign. 300 x 250 mm no thoroughfare label. 400 x 300 mm no thoroughfare label. 250 x 200 mm no thoroughfare sign. 300 x 250 mm no thoroughfare sign. 400 x 300 mm no thoroughfare sign. A5 private property no trespassing label. 200 x 250 mm private property no trespassing label. A5 private property no trespassing sign. 400 x 300 mm private property no trespassing label. 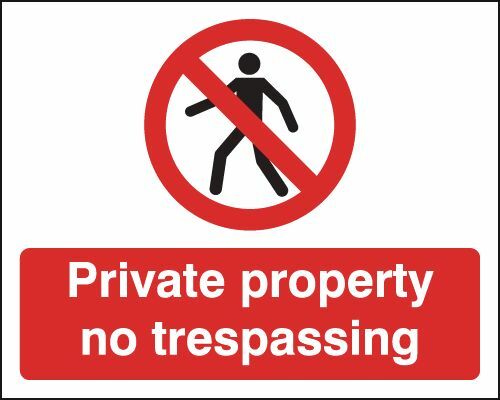 200 x 250 mm private property no trespassing sign. A4 private property no trespassing label. A3 private property no trespassing label. A4 private property no trespassing sign. 400 x 300 mm private property no trespassing sign. A3 private property no trespassing sign. 600 x 450 mm private property no trespassing label. A2 private property no trespassing label. A2 private property no trespassing sign. 600 x 450 mm private property no trespassing sign. A1 private property no trespassing label. A1 private property no trespassing sign. 125 x 125 mm no pedestrians (symbol no text) label. 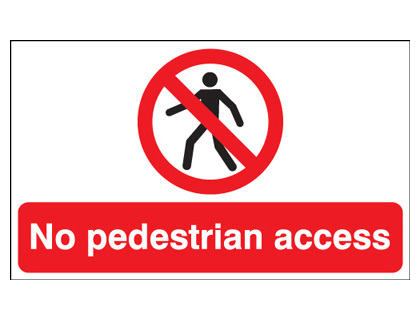 150 x 125 mm no pedestrian access label. 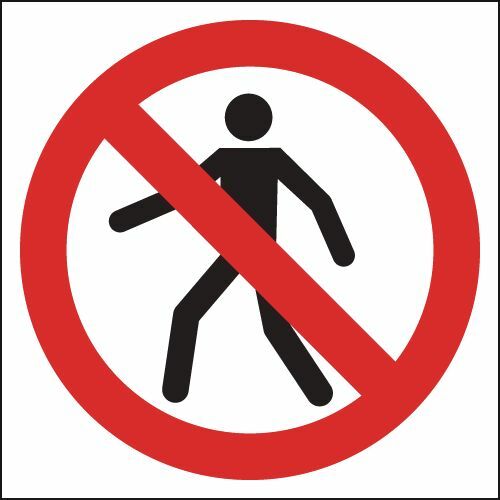 125 x 125 mm no pedestrians (symbol no text) sign. 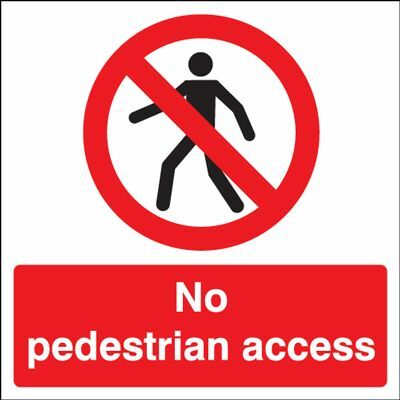 150 x 125 mm no pedestrian access sign. 300 x 250 mm no pedestrians label. 400 x 300 mm no pedestrians label. 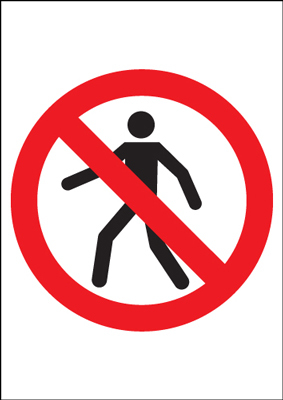 400 x 300 mm no pedestrians (symbol no text) label. 400 x 300 mm no pedestrian access label. 300 x 250 mm no pedestrians sign. 450 x 450 mm no pedestrian access label. 300 x 500 mm no pedestrian access label. 300 x 300 mm no pedestrian access sign. 300 x 600 mm no pedestrian access label. 400 x 300 mm no pedestrian access sign. 400 x 300 mm no pedestrians sign. 400 x 300 mm no pedestrians (symbol no text) sign. 300 x 500 mm no pedestrian access sign. 450 x 600 mm no pedestrian access label. 300 x 600 mm no pedestrian access sign. 450 x 450 mm no pedestrian access sign. 450 x 600 mm no pedestrian access sign. 300 x 500 mm Caution plant room door to be self adhesive vinyl labels. 300 x 500 mm Caution plant room door to be 1.2 mm rigid plastic signs. 300 x 500 mm Caution plant room door to be 1.2 mm rigid plastic signs with s/a backing. 300 x 500 mm caution plant room door to be 1.2 mm rigid plastic signs with self adhesive backing. 100 x 250 mm no smoking zakaz palenia polish self adhesive vinyl labels. 100 x 250 mm no smoking zakaz palenia polish 1.2 mm rigid plastic signs. 400 x 300 mm no smoking zakaz palenia self adhesive vinyl labels. 400 x 300 mm no smoking zakaz palenia 1.2 mm rigid plastic signs. 400 x 300 mm no smoking zakaz palenia 1.2 mm rigid plastic signs with s/a backing. 400 x 300 mm no smoking zakaz palenia 1.2 mm rigid plastic signs with self adhesive backing. 150 x 125 mm no smoking no drinking self adhesive vinyl labels. 150 x 125 mm no smoking no naked light self adhesive vinyl labels. 100 x 200 mm no smoking no drinking self adhesive vinyl labels. A5 No smoking no drinking no eating self adhesive vinyl labels. 100 x 250 mm no smoking no naked light self adhesive vinyl labels. 150 x 125 mm no smoking no naked light 1.2 mm rigid plastic signs. 150 x 125 mm no smoking no drinking 1.2 mm rigid plastic signs. 100 x 200 mm no smoking no drinking 1.2 mm rigid plastic signs. 250 x 200 mm no smoking no drinking self adhesive vinyl labels. 150 x 300 mm no smoking no drinking self adhesive vinyl labels. 150 x 300 mm no smoking no naked light self adhesive vinyl labels. A5 No smoking no drinking no eating 1.2 mm rigid plastic signs. 100 x 250 mm no smoking/no naked light rigid 1.2 mm rigid plastic signs. 100 x 250 mm no smoking no drinking 1.2 mm rigid plastic signs. 150 x 300 mm no smoking no naked light 1.2 mm rigid plastic signs. 150 x 300 mm no smoking no drinking 1.2 mm rigid plastic signs. 150 x 125 mm no smoking no drinking 1.2 mm rigid plastic signs with s/a backing. 150 x 125 mm no smoking no drinking 1.2 mm rigid plastic signs with self adhesive backing. 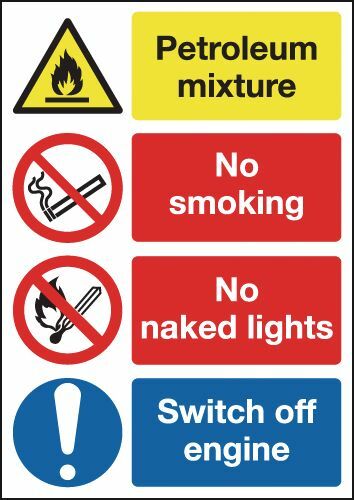 150 x 125 mm no smoking no naked light 1.2 mm rigid plastic signs with s/a backing. 150 x 125 mm no smoking no naked light 1.2 mm rigid plastic signs with self adhesive backing. 300 x 300 mm no smoking no drinking self adhesive vinyl labels. 250 x 350 mm no smoking no naked light self adhesive vinyl labels. 400 x 300 mm no smoking no naked light self adhesive vinyl labels. 400 x 300 mm no smoking no drinking self adhesive vinyl labels. 100 x 200 mm no smoking no drinking 1.2 mm rigid plastic signs with s/a backing. 100 x 200 mm no smoking no drinking 1.2 mm rigid plastic signs with self adhesive backing. 250 x 200 mm no smoking no drinking 1.2 mm rigid plastic signs. A4 No smoking no drinking no eating self adhesive vinyl labels. A3 No smoking no drinking no eating self adhesive vinyl labels. A5 No smoking no drinking no eating 1.2 mm rigid plastic signs with s/a backing. 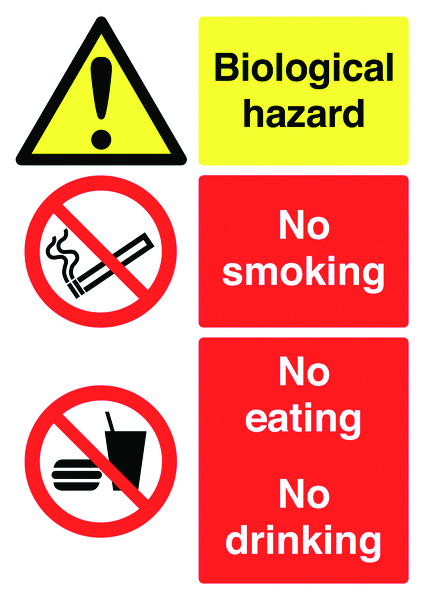 A5 no smoking no drinking no eating 1.2 mm rigid plastic signs with self adhesive backing. 150 x 300 mm no smoking no drinking 1.2 mm rigid plastic signs with s/a backing. 150 x 300 mm no smoking no drinking 1.2 mm rigid plastic signs with self adhesive backing. 150 x 300 mm no smoking no naked light 1.2 mm rigid plastic signs with s/a backing. 150 x 300 mm no smoking no naked light 1.2 mm rigid plastic signs with self adhesive backing. 450 x 450 mm no smoking no drinking self adhesive vinyl labels. 300 x 500 mm no smoking no drinking self adhesive vinyl labels. 250 x 200 mm no smoking no drinking 1.2 mm rigid plastic signs with s/a backing. 250 x 200 mm no smoking no drinking 1.2 mm rigid plastic signs with self adhesive backing. 300 x 500 mm no smoking no naked light self adhesive vinyl labels. 300 x 300 mm no smoking no drinking 1.2 mm rigid plastic signs. 250 x 350 mm no smoking no naked light 1.2 mm rigid plastic signs. A4 No smoking no drinking no eating 1.2 mm rigid plastic signs. 400 x 300 mm no smoking no drinking 1.2 mm rigid plastic signs. 400 x 300 mm no smoking no naked light 1.2 mm rigid plastic signs. 400 x 600 mm petroleum mixture no smoking self adhesive vinyl labels. 300 x 500 mm no smoking no naked light 1.2 mm rigid plastic signs. 300 x 500 mm no smoking no drinking 1.2 mm rigid plastic signs. A3 No smoking no drinking no eating 1.2 mm rigid plastic signs. 600 x 450 mm petroleum mixture no smoking self adhesive vinyl labels. 300 x 300 mm no smoking no drinking 1.2 mm rigid plastic signs with s/a backing. 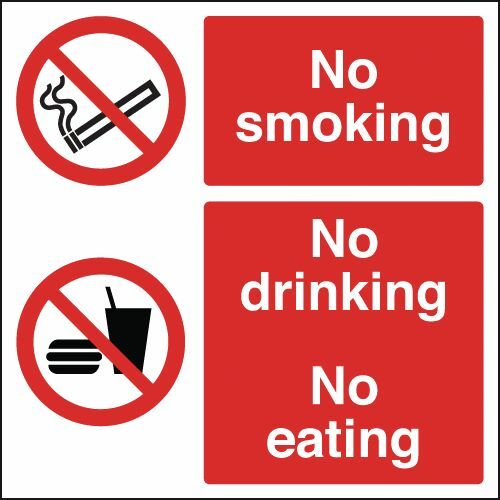 300 x 300 mm no smoking no drinking 1.2 mm rigid plastic signs with self adhesive backing. A2 No smoking no drinking no eating self adhesive vinyl labels. A2 biological hazard no smoking eating self adhesive vinyl labels. A2 petroleum mixture no smoking no self adhesive vinyl labels. 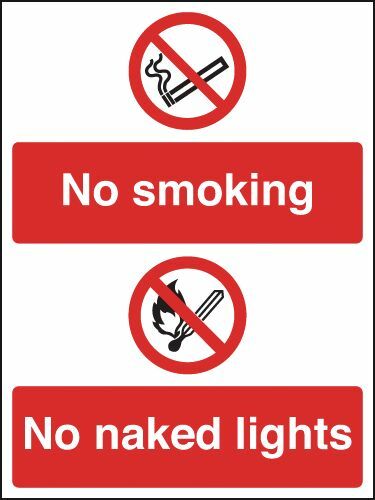 250 x 350 mm no smoking no naked light 1.2 mm rigid plastic signs with s/a backing. 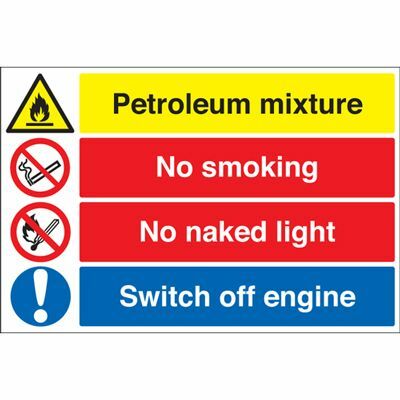 250 x 350 mm no smoking no naked light 1.2 mm rigid plastic signs with self adhesive backing. 400 x 300 mm no smoking no naked light 1.2 mm rigid plastic signs with s/a backing. 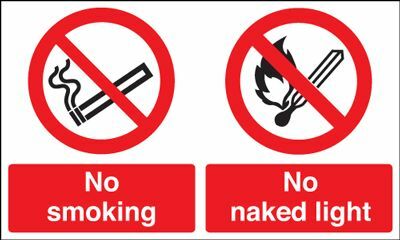 400 x 300 mm no smoking no naked light 1.2 mm rigid plastic signs with self adhesive backing. 400 x 300 mm no smoking no drinking 1.2 mm rigid plastic signs with s/a backing. 400 x 300 mm no smoking no drinking 1.2 mm rigid plastic signs with self adhesive backing. 450 x 450 mm no smoking no drinking 1.2 mm rigid plastic signs. 300 x 500 mm no smoking no naked light 1.2 mm rigid plastic signs with s/a backing. 300 x 500 mm no smoking no naked light 1.2 mm rigid plastic signs with self adhesive backing. A2 petroleum mixture no smoking no 1.2 mm rigid plastic signs. A2 No smoking no drinking no eating 1.2 mm rigid plastic signs. A2 biological hazard no smoking eating 1.2 mm rigid plastic signs. 400 x 600 mm petroleum mixture no smoking 1.2 mm rigid plastic signs. 600 x 450 mm petroleum mixture no smoking 1.2 mm rigid plastic signs. A1 No smoking no drinking no eating self adhesive vinyl labels. A3 No smoking no drinking no eating 1.2 mm rigid plastic signs with s/a backing. 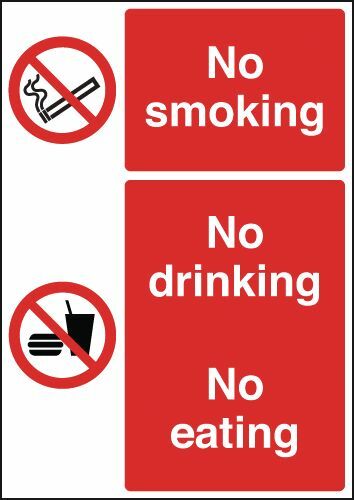 A3 no smoking no drinking no eating 1.2 mm rigid plastic signs with self adhesive backing. 450 x 450 mm no smoking no drinking 1.2 mm rigid plastic signs with s/a backing. 450 x 450 mm no smoking no drinking 1.2 mm rigid plastic signs with self adhesive backing. A2 No smoking no drinking no eating 1.2 mm rigid plastic signs with s/a backing. 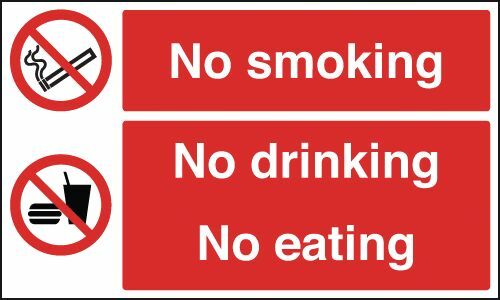 A2 no smoking no drinking no eating 1.2 mm rigid plastic signs with self adhesive backing. A2 biological hazard no smoking eating 1.2 mm rigid plastic signs with s/a backing. A2 biological hazard no smoking eating 1.2 mm rigid plastic signs with self adhesive backing. A2 petroleum mixture no smoking no 1.2 mm rigid plastic signs with s/a backing. A2 petroleum mixture no smoking no 1.2 mm rigid plastic signs with self adhesive backing. 400 x 600 mm petroleum mixture no smoking 1.2 mm rigid plastic signs with s/a backing. 400 x 600 mm petroleum mixture no smoking 1.2 mm rigid plastic signs with self adhesive backing. 600 x 450 mm petroleum mixture no smoking 1.2 mm rigid plastic signs with s/a backing. 600 x 450 mm petroleum mixture no smoking 1.2 mm rigid plastic signs with self adhesive backing. A1 No smoking no drinking no eating 1.2 mm rigid plastic signs. A1 No smoking no drinking no eating 1.2 mm rigid plastic signs with s/a backing. A1 no smoking no drinking no eating 1.2 mm rigid plastic signs with self adhesive backing. A4 No smoking no drinking no eating 1.2 mm rigid plastic signs with s/a backing. 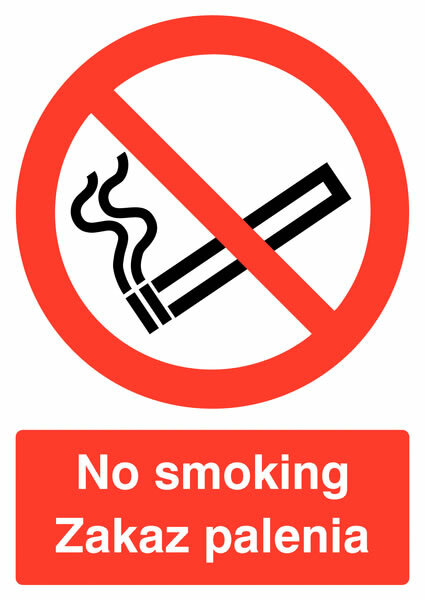 A4 no smoking no drinking no eating 1.2 mm rigid plastic signs with self adhesive backing. A5 Pedestrians sound horn self adhesive vinyl labels. A5 Pedestrians sound horn 1.2 mm rigid plastic signs. A4 Pedestrians sound horn self adhesive vinyl labels. A3 Pedestrians sound horn self adhesive vinyl labels. 300 x 500 mm Pedestrians sound horn self adhesive vinyl labels. A4 Pedestrians sound horn 1.2 mm rigid plastic signs. 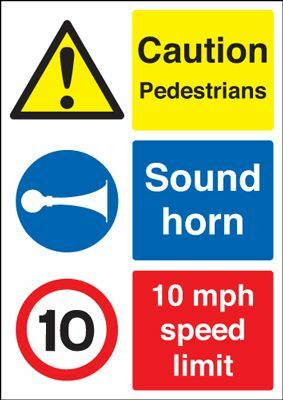 300 x 500 mm Pedestrians sound horn 1.2 mm rigid plastic signs. A3 Pedestrians sound horn 1.2 mm rigid plastic signs. 300 x 500 mm Pedestrians sound horn 1.2 mm rigid plastic signs with s/a backing. 300 x 500 mm Pedestrians sound horn 1.2 mm rigid plastic signs with self adhesive backing. 300 x 500 mm Caution high voltage keep out self adhesive vinyl labels. 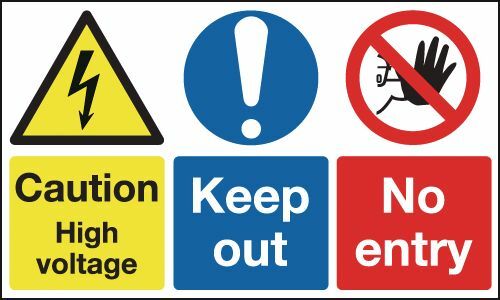 300 x 500 mm Caution high voltage keep out 1.2 mm rigid plastic signs. 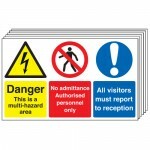 300 x 500 mm Caution high voltage keep out 1.2 mm rigid plastic signs with s/a backing. 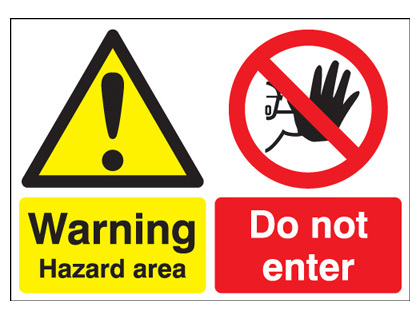 300 x 500 mm caution high voltage keep out 1.2 mm rigid plastic signs with self adhesive backing.